Dying violently after very brief screen time may seem like an inauspicious start to a film career, but it added to the CV of a prolific actor who has played killers, scumbags, and downright nasty guys. Bruce Dern started in television in the 1950s and continues to work today. To be fair, he has also played some non-psychopathic roles though Dern, as a rule, is known for playing heavies. Tall and lanky, with a toothy grin that can go from friendly to malevolent in an instant, Dern plays nasty like no one else. In the western Hang ‘Em High (1968), his murderer/cattle rustler taunts Clint Eastwood and jumps him when he’s not looking. His counter-culture reputation was cemented after a series of films he did with Roger Corman and others during the 1960s. He even strayed from his nasty persona in a few. In The Trip (1967), Dern plays a benevolent soul guiding Peter Fonda through his first acid trip. His calm, thoughtful demeanor and compassionate tone are a far cry from the snarling villain he usually played. I watched The Trip recently and listened to director Roger Corman’s audio commentary on the film. He said of all the cast members, including Peter Fonda and Dennis Hopper, Bruce Dern was the only one who never touched drugs. A marathon runner who almost qualified for the Olympics, Dern lived a healthy life. During one scene in which partiers pass a joint, Dern is the only one not smoking. Jack Nicholson, a close friend, said Dern was one of the best of a breed of actors coming into his own in the 1970s. Films like The King of Marvin Gardens (1972), Silent Running (1972), The Great Gatsby (1974), and The Driver (1978) allowed Dern to show his range. In Marvin Gardens as the ne’er-do-well with a dozen get-rich-quick schemes, Dern is all charisma and charm, and you get caught up in his enthusiasm even when you sense his plans will never come to fruition. 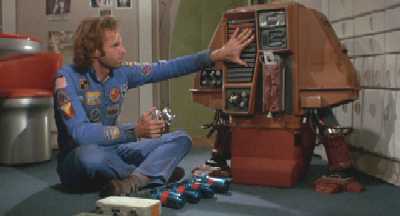 In Silent Running, as astronaut Freeman Lowell, Dern gives a nuanced performance. You know his actions are wrong, but his motives and the way he relates to little Huey, Dewey, and Louie charm you into rooting for him. As Tom Buchanan in The Great Gatsby, Dern’s callous aristocrat uses people and tosses them aside without a thought. I cannot think of the book or film without picturing Bruce Dern in that role. The spare The Driver lets Dern show his malevolent side again when, as The Detective, he orchestrates a robbery to frame Ryan O’Neal’s getaway driver and seems unaffected by the violence left in its wake. 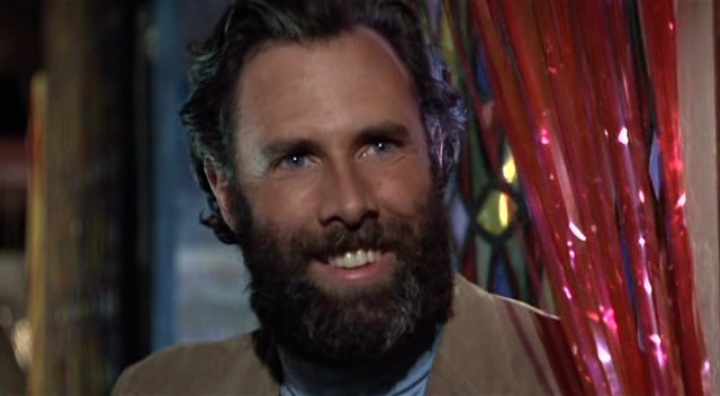 It might surprise you to learn that Bruce Dern’s background is closer to the patrician Tom Buchanan (The Great Gatsby 1974) than the scuzzy gang member Loser (The Wild Angels 1966). Bruce MacLeish Dern, born in Winnetka, Illinois, in 1936, went to the prestigious New Trier High School in Illinois before attending the University of Pennsylvania. He left Penn after a couple years for The Actors’ Studio and a career in acting. Dern’s grandfather served as Governor of Utah and Roosevelt’s Secretary of War. His other grandfather established the department store Carson, Pirie Scott & Co., and the poet Archibald MacLeish is a maternal relation. His godparents were Adlai Stevenson and Eleanor Roosevelt. Throughout his career, Dern has done scores of television shows including Route 66, Thriller, The Outer Limits, The Kraft Suspense Theatre, Branded, Bonanza, Big Valley, Rawhide, The Alfred Hitchcock Hour, The Fugitive, The FBI, and recent appearances on Big Love and CSI:NY. 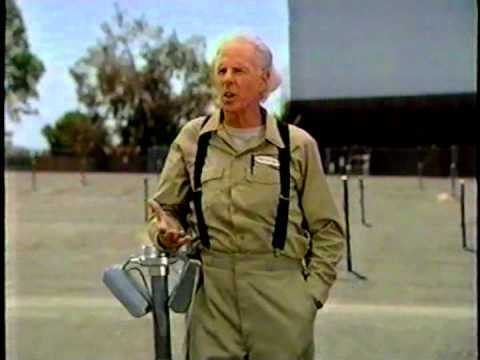 He even hosted his own series from 1996-2001 called The Lost Drive-In, during which he sat in a vintage car and talked about drive-in movies, old cars, and that era in general, then showed a film which might have played in one. It was a fun show and Dern came off as well-versed and natural. I was sorry to see it end. With a career spanning almost 60 years, 145 films, and countless televsion appearances, Bruce Dern remains a working actor. He, his daughter Laura Dern, and ex-wife Diane Ladd received their stars on the Hollywood Walk of Fame in 2010 and IMDB lists 5 or 6 projects in production for this versatile actor. 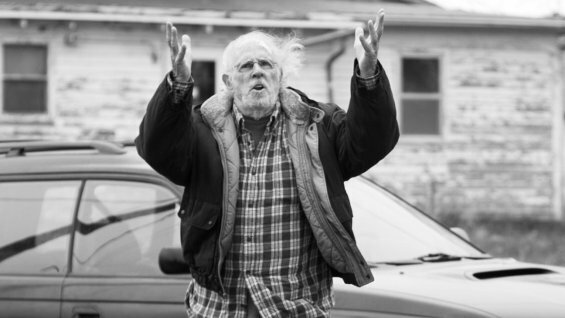 In May of 2013, Bruce Dern won the Best Actor award at the Cannes Film Festival for his role in Nebraska, which plays in theatres in November of 2013. I can’t wait to see it! Kerry Fristoe is on Twitter and writes reviews about an array of eclectic movies at screamingargonauts.com. She lives in Massachusetts with her pretty cool teenager and sweet puppy. Posted on 11 November 2013 by PaulaPosted in FeaturesTagged 1960s, 1970s, alfred hitchcock, blog events, blogathon, bruce dern, jack nicholson, john wayne, what a character. A superb write up on one of my favorite character actors! Id say next to Jack, hes my #2 favorite of the guys from that 60s/70s era. I was just realizing Ive seen almost every film you mentioned in the article which is weird but awesome! I also watched Black Sunday the other day, another classic with him. Thanks for the comments! I’m a big fan of Dern, Nicholson, Hopper, Stanton, and Oates. Sort of a dirty quintet. I love quirky 70s films. It’s cool that you’ve seen all the films. I’m glad you liked it. I thought I responded to this last night. Whooops! I’d definitely put Jack, Bruce, Warren Oates, Harry Dean Stanton, and Dennis Hopper in the same category. Thanks for your comment! Oh right. Haha! Thanks, Paula! what a great pick, Kerry! So many great westerns and yet he seemed to be the sort that would’ve hung out at my house as a kid (My Mom hang out with Neil Young and Dennis Hopper for a bit in the 70’s in Taos and he seemed to be the kind of guy that would have fit in somehow..) But I digress. Great post and I look forward to seeing Nebraska! Thanks for contributing to our blogathon! Thank you, Kellee! I would picture him there too, but I could be wrong. It was great fun! Thanks for hosting! Excellent and well detailed critique of one the greatest, yet most under rated character actors. Been following Mr. Dern since he was the gunslinger Marshal Matt Dillon shot during the later opening showdown(s) of ‘Gunsmoke’. His best work is evenly divided between ‘Black Sunday’, ‘Coming Home’, ‘The Laughing Policeman’. Where Mr. Dern proved just as world weary and good as Walter Matthau. Though twice as sarcastic. Along with ‘Silent Running’ opposite Hewey, Dewey and Louie. It was a kick playing the high strung brother in ‘The King of Marvin Gardens’. Thanks, Jack! I’m a big fan of his too! Those are great roles! I tried to pick some off the beaten track pictures to write about for this. Thanks for the comment! Great job, Kerry! Fascinating write up on one of the more fascinating character actors. I have not seen all his movies you reference here, but it makes me want to watch them all. Thanks for posting this! Thank you for reading it, Kent! I saw some off the wall ones on purpose and really enjoyed them! I agree. Dern is a fascinating guy. Wonderful article that brought back a lot of memories. Bruce Dern provided commentary on the anniversary edition DVD release of “Gunsmoke”, having appeared in four episodes of the program. I’d never seen him on a talk show and didn’t know what to expect, but he was the most chatty fellow, full of interesting stories and a dry sense of humour. An absolute delight – you know, as opposed to the creepy guy he can play so well. Yes, he came off well on The Lost Drive-In series and he’s more articulate than he gets credit for. Thanks for reading it! Thanks for writing this, Kerry. I confess the ’70s films are one of the gaps in my viewing and I have only seen one of those mentioned. I learned quite a bit. I had no clue he was such a blueblood. Very interesting indeed. Wonderful! I learned a lot too. I’ve always liked Dern but hadn’t looked too far past the bad guys he usually plays. It was cool seeing his range. It’s nice to see a character actor still with us! I had no idea Bruce Dern was the infamous sailor in Marnie. And the John Wayne anecdote is very interesting. Thanks for co-hosting this blogathon! Thanks for reading my piece! I thought the John Wayne bit was pretty cool! 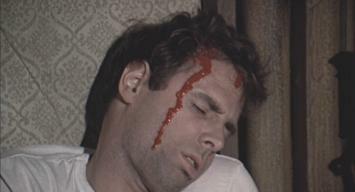 Bruce Dern is a perfect “bad guy”. It’s always a treat to see his name in the credits, because you know you’re going to get your money’s worth. Excellent choice for the blogathon! Thanks!! I agree. He does bad real good. What a great post! Sadly I’m not familiar w/ Dern’s earlier works but he was excellent in Nebraska. I’ll be rooting for him come Oscar time, I sure hope he won’t be overlooked! I’m sure he’ll be nominated at least. He was nominated for supporting actor in Coming Home, but didn’t win. Thanks very much! It was fun to write. I want to see Nebraska too! He won at Cannes and the reviews have been stellar so it’s certainly possible. I first saw Bruce Dern on television, mostly in westerns, where he invariably had several days growth of beard. I was quite surprised when he turned up in something with his face shaved and I realized that he is actually fairly good looking. He was up here in Canada once, making a movie called Harry Tracey, and was interviewed on local tv. He came across as extremely intelligent and a bit odd. Well, more than a bit. 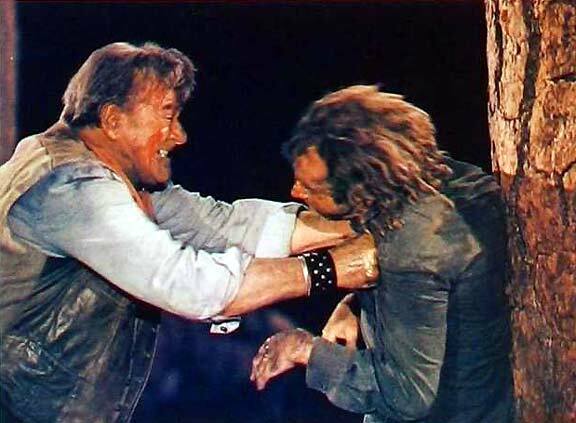 Some of my favorites among his films are Black Sunday (“They’ll still be taking about this Superbowl in 5,000 years !” ) and Posse, where he plays an wily outlaw who is more than a match for the Marshall ( Kirk Douglas) out a catch him. Thanks for reading my article, Sandra! He is attractive. I agree. Black Sunday is a goodie! I haven’t seen Posse. I’ll look for it.